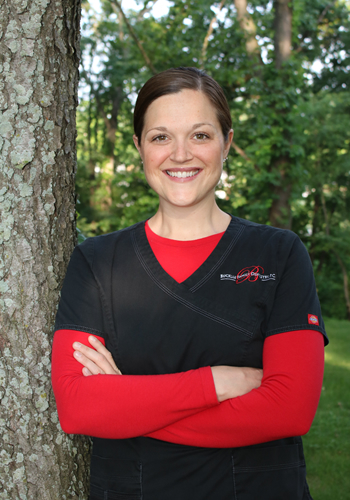 Dr. Amanda Bucklin is excited to have acquired Dr. G. David Rubley’s dental practice in Coldwater. She proudly took over Dr. Rubley’s office, her childhood dentist, on July 8, 2013. Her, as well as her husband, Aaron, and two daughters, Audrina and Addyson, are glad to be back home closer to their family and friends. Both Dr. Bucklin and her husband grew up in Bronson, MI and graduated from Bronson High School in 1999. Dr. Bucklin graduated from the University of Michigan dental school in 2008. Prior to dental school, she obtained her dental hygiene degree from Kellogg Community College. She then worked as a dental hygienist while she obtained her Bachelor’s degree at Western Michigan University. Following dental school, Dr. Bucklin worked in a dental practice as an associate for five years in Kalamazoo. 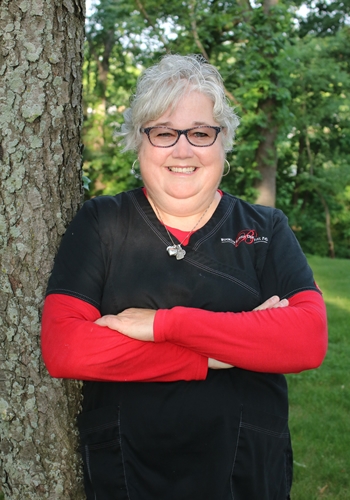 She is an active member of the American Dental Association, Michigan Dental Association, and Kalamazoo Valley District Dental Society. In her free time, she enjoys spending time with her family and friends, vacationing, exercising, and going to Michigan football games and tailgates. 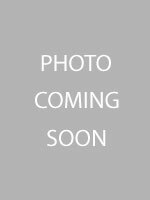 Christie has been at Bucklin Family Dentistry, formerly known as Dr. G. David Rubley’s, since September 1992. Christie feels very blessed that she has had a place to work for so many years that she loves. Her fellow co-workers and the patients are like family. Outside of the office, she enjoys spending time with friends and family, baking, church activities, walking her dog, and helping others. Caitlin was born and raised in Coldwater, MI. 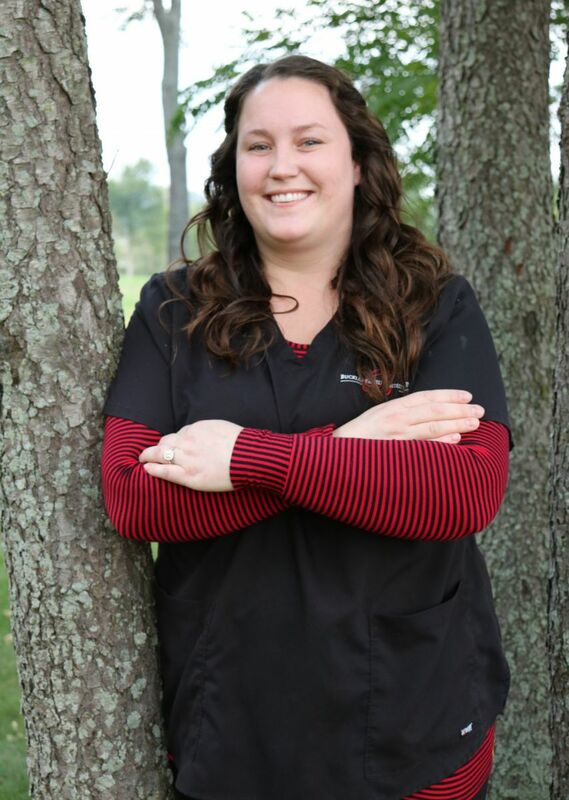 After graduating high school, she completed her Associate's degree as a Medical Administrative Assistant from Baker College, having previously attended KCC and MSU. Outside of work, she enjoys being outdoors in the sunshine, being active, cooking, and relaxing. She loves spending time with her husband, stepson, daughter, and all of her large extended family. 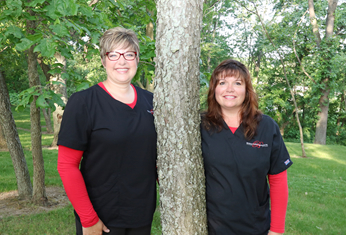 She started at Bucklin Family Dentistry in February 2014 and is excited to be a part of a team that includes such a great group of ladies! 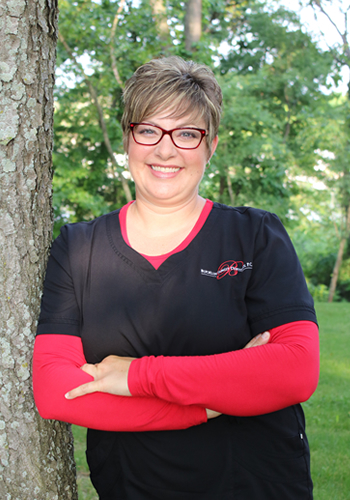 Shellie started working at Bucklin Family Dentistry, formerly known as Dr. G. David Rubley’s, in 1997 as a dental assistant. She obtained her Associates of Applied Science in Dental Hygiene at Kellogg Community College in 2000. She also has her licensure in administering local anesthesia, which she obtained from the University of Detroit Mercy in the early 2000’s. In her free time, Shellie is very involved in her children’s life. School sports, extracurricular activities, and sleepovers seem to keep her very busy. She feels she has been very blessed with her work family and her family. Kelley was born and raised in Coldwater. She obtained her Associates in Medical Assisting from International Business College in Fort Wayne, IN. She worked for the Community Health Center of Branch County for 2 years before returning to college. In 2003, she earned her Associates degree in Applied Science in Dental Hygiene from Kellogg Community College. She also obtained her licensure in administering local anesthesia and nitrous oxide. In her spare time, she enjoys spending time with her family and friends. She enjoys watching football and baseball, especially the Lions and Tigers. She also loves vacationing in the Carribean. Marissa has been in the dental field since 2014. As a child Marissa always enjoyed going to the dentist. She enjoys building new relatioships with people and, most of all, making them smile. Marissa believes that everyone deserves the perfect smile, and loves being able to assist them in accomplishing that goal. 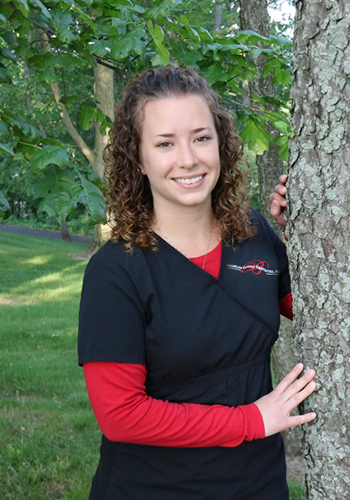 Marissa believes that the best and most rewarding part of being in the dental field is that you never stop learning! 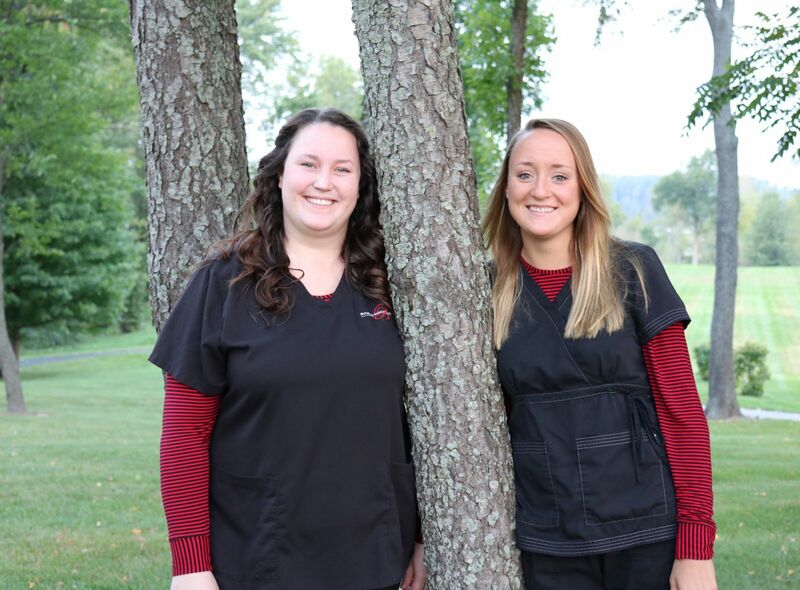 Marissa will soon begin continuing her education to become a Registered Dental Assistant. Marissa is a proud mother of two boys, Liam and Maverick. She would love to show you pictures of her children whenever you come to the office! When Marissa is not at work she enjoys spending time with her family on the dairy farm! 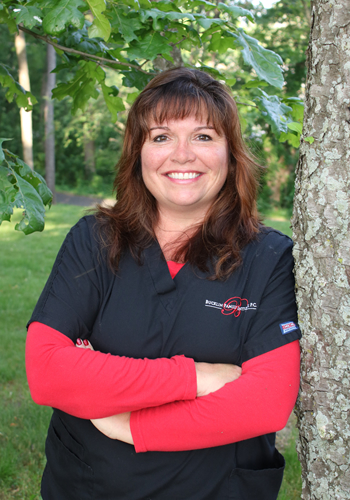 Kelly has been in the dental field since 2015, working previously in an Endodontic office in Novi. 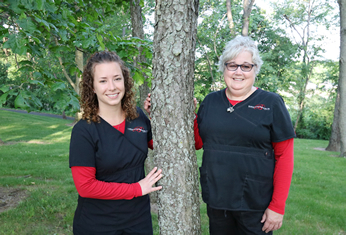 She recently moved to Coldwater with her boyfriend, Andy and accepted a position at Bucklin Family Dentistry in February of 2019. Kelly was very excited to join the team! In her spare time, she enjoys spending time with Andy and her family. You might find her out on the boat in the summer or up north snowmobiling in the winter. Kelly also loves being with their fur babies Geronimo, Jaxon and Goliath.